Draft: 2001, Pittsburgh Pirates, 20th rd. Is in his second stint with the Reds...after he was released by the Nationals in June 2013, was signed by the Reds to a minor league contract and posted a 0.84 ERA in 14 relief apps for Cin in August and September...his 325 apps over the last 5 seasons are 14th-most in the Major Leagues, third-most by a lefthanded pitcher...is 1 of only 2 active pitchers with at least 169 Major League starts and 371 career relief apps (Oliver Pérez, 195gs, 408gr)...from 2005-2010 made 159 of his first 160 Major League apps as a starter...beginning in 2011 has made 370 of his last 380 apps in relief (2011-2018)...since his most recent start, on 5/20/13, has posted a sterling 3.07 ERA in 341 consecutive relief apps (263.2ip, 90er)...while playing for the Pirates in 2009 was a National League All-Star...was the Pirates' Opening Day starting pitcher in 2007 and 2010...in 2005 finished fifth in the National League Rookie of the Year Award voting of the Baseball Writers' Association of America...was National League Pitcher of the Month in both July and August...while playing for the Cardinals in 2017 won the Darryl Kile Award in voting of the local chapter of the BBWAA for exemplifying Kile's traits of "a good teammate, a great friend, a fine father and a humble man. "...in 2014 received the Brewers' Unsung Hero Award for his dependable versatility and the team's Top Newcomer Award...in 2005 was a Baseball America Class AAA All-Star, the International League's Pitcher of the Year and Indianapolis' Most Valuable Player...was selected to participate in the Triple-A All-Star Game and Sirius XM All-Star Futures Game but did not attend either exhibition because he was promoted to the Pirates on 7/1...was the IL's Pitcher of the Month for May...in 2004 was the Pirates' Minor League Pitcher of the Year and Carolina League Pitcher of the Year...in his Major League debut on 7/2/05 for Pit at Mil recorded 9 strikeouts, still his career high...his 8 strikeouts in his second career start, on 7/7/05 vs Phi, remains the second-highest single-game total of his career. In 2001 graduated from Midway (TX) High School...in 2015, participated in a "My MaryCate: Meet and Greet" event at Chi's U.S. Cellular Field to raise funds to battle Apert Syndrome...in 2009, Zach and wife Kristin invited kids from the Pittsburgh Project (a Northside-based, non-profit community development organization serving the city's most vulnerable residents) to join them at PNC Park for baseball games...also in 2009 co-hosted the annual Players 4 Kids gala benefiting the Pittsburgh Kids Foundation. In 72 apps for the Twins and Mariners posted a 4.15 ERA...ranked T9th in the American League in games pitched...began the season with the Twins...was traded to the Mariners on 7/30...beginning 8/9, posted a 2.08 ERA over his last 21 apps of the season (13ip, 7h, 5bb, 10k). Missed most of first four months after undergoing offseason "Tommy John" surgery on left elbow October 6, 2016...activated from 60-day disabled list July 21...Made 27 appearances and held opponents scoreless in 22 of his 27 appearances for Cardinals... Held left-handed hitters to .231 average (9-for-39) and right-handed hitters to .148 (4-for-27)...Recorded six holds, tied for 11th among NL left-handed relievers since being activated. Acquired by St. Louis via trade from the Chicago White Sox on 7/31 in exchange for minor league OF Charlie Tilson...Appeared in a career-high 81 games, ranking 2nd in MLB (Brad Hand, SD, 82) including 28 with St. Louis after the trade; 67 of his 81 appearances were scoreless outings...Posted two 10-game scoreless streaks: 7/22-8/9 (8.1 IP) & 8/13-9/4 (9.0 IP)...Allowed just one earned run from 7/22 to 9/14 (0.42 ERA). • Allowed five runs in his 28 games (23.1 IP) after joining St. Louis (1.93 ERA). Was scored on just once in his first 19 appearances after he was acquired by the Cardinals...Earned his first save as a member of the Cardinals on 8/30 at MIL (0.1 IP), his fourth career MLB save...Pitched less than 1.0 inning in 38 of 81 games...Allowed just two home runs, his fewest allowed during a full MLB season (0 HR, 8 G, 13.2 IP in 2012)...Made his 400th career appearance vs. MIN (6/30) as a member of the White Sox...Allowed just one run in 11 app. (9.0 IP) at Busch Stadium (1.00 ERA)...Pitched a season-high 2.0 scoreless innings vs. DET (7/22), his most IP since 8/21/15 at SEA. American League Relief Leaders: T2nd in Opp. GIDP (10); 5th in HLD (26) and IRS Pct. (18.9); 8th in appearances (71); 10th in GB Pct. (58.3)...Appeared in 71 games in his first season with the White Sox, the most by a Sox reliever since Matt Thornton (74) in 2012...Set a career high with 26 holds, tying him with Thornton (2012) for the second-most in White Sox single-season history...Allowed 18.9 percent (7-37) of inherited runners to score and posted a .194 (12-62) average vs. first batters faced...Went 2-1 with a 2.70 ERA (10 ER/33.1 IP) and .170 opponents average (19-112) at home and 1-5 with a 4.28 ERA (13 ER/27.1 IP) and .269 (28-104) mark on the road...Held left-handers to a .181 average (15-83) and three home runs (righties batted .241 with six homers) … the .181 mark vs. lefties was his lowest since his rookie season in 2005 (.146)...Limited opponents to a .107 (6-56) average with RISP and .080 (2-25) mark with RISP/two outs...Was 3-4 with a 2.55 ERA (7 ER/24.2 IP) in 31 games against the American League Central...Surrendered nine home runs, tied for the ninth-most among AL relievers and his most in a season since 2010 (25)...Pitched on zero days rest 25 times, going 0-2 with a 4.19 ERA (9 ER/19.1 IP) … posted a sub-3.00 ERA in April (2.16) and July (2.79) … opponents batted .069 (2-29) in July...Worked 1.0 scoreless IP in his White Sox debut on 4/8 at Kansas City … earned his first win with the Sox after working a perfect eighth inning on 4/11 vs. Minnesota...Earned his first two holds in consecutive outings on 4/12 vs. Minnesota and 4/15 at Cleveland … recorded four strikeouts over 2.0 scoreless IP in the two appearances...Suffered his first loss on 4/17 at Detroit after allowing a game-ending, RBI single to Jose Iglesias in the ninth inning … surrendered a double to Nick Castellanos to open the frame...Made nine consecutive scoreless appearances (10.0 IP) from 4/21-5/10, recording nine holds … registered a hold in three straight outings from 5/5-10 (3.2 scoreless IP)...His scoreless streak was snapped on 5/11 at Milwaukee … suffered the loss after allowing three runs on two hits, including homers to Elian Herrera and Khris Davis, in the eighth inning...Earned his first save with the White Sox, and the second of his career, on 5/15 at Oakland (1.1 scoreless IP) … went 133 appearances between saves (first on 7/24/11 vs. Colorado), the longest stretch between a pitcher's first and second save since Kansas City's Louis Coleman from 5/11/11-9/28/14 (140 G)...Registered holds in three straight games from 5/26-28.  Recorded an eight-game scoreless streak (6.2 IP) from 6/14- 25 and a seven-game stretch from 6/30-7/18 (7.0 IP) … the only run allowed during the streak came on 6/26 at Detroit...Was charged with his fourth loss on 7/23 vs. St. Louis after loading the bases in the eighth inning before being replaced by David Robertson … Yadier Molina hit a game-winning triple...Suffered his first blown save on 8/3 vs. Tampa Bay after surrendering a game-tying, solo home run to Grady Sizemore...Commited a throwing error on 9/1 at Minnesota, his first since 8/9/09 vs. St. Louis (449.2 IP)...Recorded his 26th hold on 9/29 vs. Kansas City … held the Royals scoreless over nine games (7.2 IP) this season. Went 5-1 with a 2.45 ERA (16 ER/58.2 IP), 12 holds and 74 strikeouts over a career-high 74 appearances with Milwaukee...His 74 appearances tied for seventh in the National League, while his average of 11.35 strikeouts per 9.0 IP ranked 11th...Among NL lefty relievers, ranked in the Top 10 in strikeout-towalk ratio (3rd, 4.35), walks per 9.0 IP (3rd, 2.61), wins (T3rd), ERA (4th), WHIP (4th, 1.13), games (T4th), inherited runners scored percentage (6th), strikeouts (7th), home runs per 9.0 IP (7th, 0.46), IP (T7th) and opponents average (8th)...Limited opponents to a .223 (49-220) average, including a .198 (19-96) mark with 37 strikeouts vs. left-handers...Allowed just 19.5 percent (8-41) of inherited runners to score, the 10th-best mark in the NL … held first batters faced to a .183 (13-81) average...Of his 74 outings, 60 were scoreless, struck out at least one batter 49 times and threw less than 1.0 IP 67 times...Was 3-0 with a 2.77 ERA (4 ER/13.0 IP) in 19 games when pitching on zero days rest...Went 4-0 with a 1.18 ERA (5 ER/38.0 IP) in the first half and 1-1 with a 4.79 ERA (11 ER/20.2 IP) after the break...Made 14 consecutive scoreless appearances from 4/12-5/10 (13.1 IP) and 16 in a row from 6/22-7/30 (14.2 IP)...Was named Milwaukee's Pitcher of the Month for July after posting a 0.00 ERA (11.2 IP) over 13 outings...His ERA was at a season-low 1.04 (5 ER/43.1 IP) through July before posting a 10.13 ERA (9 ER/8.0 IP) in August...Made the Brewers Opening Day roster after coming to spring training as a non-roster invite...Agreed to terms on a three-year, $15-million contract with the White Sox on 11/18/14. Released by Washington on 6/10.....signed with Cincinnati on 6/13. Signed with Washington late in Spring Training after being released by HOU...reported to Triple-A and finished 15-5 with a 3.51 ERA in 26 International League starts for Syracuse...had contract selected by the Nationals on Sept. 3 after leading the International League with those 15 wins and ranking 4th with 164.1 innings pitched...with Washington, pocketed the win in 4-2 victory, Oct. 2 vs. PHI...worked season-long 4.0 innings of one-run ball, Sept. 7 vs. MIA. Began the year on Arizona's Disabled List with a fractured left hand...was struck with a line drive while pitching in a Spring Training game on March 12 vs. COL...after two rehab starts, made his first start and appearance for the D-backs on May 28 vs. HOU at Minute Maid Park, hurling 7.0 shutout innings in an 11-3 win...hit his first career home run in that game, a three-run shotoff Bud Norris...started nine straight games for Arizona before being moved to the bullpen on July 19...went 2-4 with a 5.47 ERA (31ER/51IP) in his nine starts and 1-0 with a save and a 3.86 ERA (11ER/25.2IP) in his 12 relief appearances...held lefties to a .225 (16x71) mark and a .247 on-base percentage...connected for his second career home run on June 13 at FLA, a two-run shot off RHP Ricky Nolasco...picked up his first career save on July 24 vs. COL after tossing 4.0 shutout innings to cap a 7-0 D-backs win. Ranked second on the Pirates with 8 wins, 29 games started and 159.0 innings pitched...led the team with 5 wins and 15 starts after the All-Star break...His 15 losses were tied for the second-highest total in the NL behind the D-backs' Rodrigo Lopez (16)...Allowed the third-highest amount of runs (115) in the NL while opponents batted a league-high .321 (212-for-660)against him...Was the Pirates' Opening Day starter for the second time in his career (also in 2007) and won an 11-5 decision vs.Dodgers...Snapped a 4-game losing streak with a 2-1 win over Roy Halladay @ Phillies on May 18...Placed on the disabled list with a ulnar flexor strain in his left elbow on June 23 (retro to June 17)...reinstated on July14...Allowed 2 runs in 7.0 innings while making 2 rehab starts with Double-A Altoona on July 5 and July 10...Won back-to-back starts on July 21 vs. Brewers and July 27 @ Rockies...Tossed a season-high 7.1 innings in a no-decision vs. D-backs on Sept. 19...Collected 2 doubles and a team-high 8 sacrifice bunts at the plate...failed to record an RBI for the first time in hiscareer and went hitless in his final 21 at-bats. Was named to his first National League All-StarTeam; was a late replacement for San Francisco pitcher Matt Cain and did not appear in the game...Established career high in wins and shared team lead in that department with Ross Ohlendorf...Also led staff in innings pitchedand ranked 12th in the National League...Tied for third in the N.L. withthree complete games, the most by a Pittsburgh pitcher since Jeff Suppanhad three in 2003...Ranked seventh in the league in fewest walks per 9.0ip(2.1)...Led N.L. in losses and ranked second in hits allowed behind Atlanta'sDerek Lowe (232)...Received a total of 23 runs of support in the 16 gameshe lost and 93 in the 11 games he won (all runs coming when he wasactually still in the game)...Went 8-5 with a 3.09 ERA (105.0ip/36er) in hisfirst 15 starts thru 6/24 and 3-11 with a 5.00 ERA (108.0ip/60er) in hisfinal 17...Was a member of Pittsburgh's Opening Day roster for the fourthstraight season...Started the third game of the year and won a 7-4 decisionat St. Louis (6.1ip/3r/1er)...Tossed a four-hit shutout in the Home Openeron 4/13 vs. Houston; the first complete game shutout in a Home Openersince John Candelaria tossed a seven-hitter on 4/7/78 against the ChicagoCubs in a 1-0 victory over Rick Reuschel...Suffered first loss in third start(6.0ip/6er) on 4/19 vs. Atlanta...Gave up one run in 8.1ip while winningthird decision on 4/25; also had a sac fly in the game...Surrendered justone run in 7.0ip, but lost a 4-0 decision to Bronson Arroyo and the Reds atPNC Park on 5/1...Lost second straight start on 5/6 at St. Louis (5.1ip/4er)...Threw just 88 pitches in a complete game, 2-0 loss to Gavin Floyd atChicago (AL) on 5/22...Gave up just one run in 7.0ip while beating New York's Johan Santana for sixth victory on 6/2 at PNC Park...Surrendered 11hits (three home runs) and six runs in 6.0ip in a no-decision at Atlanta on 6/8; also surrendered first two home runs of the season to left-handedhitters in the game (Nate McLouth and Brian McCann)...Had a sac bunt as a pinch hitter on 6/10 at Atlanta...Won fifth straight start at home on 6/24vs. Cleveland...Lost final three starts leading into All-Star break...Gave up four runs in one inning and lost a 4-3 decision in first start after the breakon 7/19 vs. San Francisco (7.0ip)...Won ninth game on 7/24 at Arizona...Tossed 7.0 scoreless innings in a no-decsion against Matt Cain (9.0ip/0r) atSan Francisco on 7/29 (Pirates lost 1-0 in 10 innings)...Had streak of 15 straight starts of 6.0ip or more snapped while losing 10th decision on 8/4vs. Arizona (5.0ip/5er)...Pitched at least 7.0 innings in three straight starts from 8/9-22...Won 10th game on 8/22 vs. Cincinnati...Pitched a seasonlow3.0 innings and gave up 11 hits and seven runs while losing an 8-6 decision at Milwaukee on 8/28...Suffered 13th loss on 9/2 at Cincinnati(6.0ip/5r/3er); also produced fifth career two-hit game on 9/2...Gave up eight straight hits to start the game on 9/8 vs. Chicago and went on to losea 9-4 decision to Ryan Dempster (4.0ip/12h/8r)...Struck out seven batters, gave up four hits and just two runs in 7.1ip, but received a no-decision on9/15 at Los Angeles (bullpen suffered blown save in 9th and Bucs lost in 13th)...Also had RBI-single on 9/15...Gave up five runs in 6.0ip and lost15th decision on 9/22 vs. Cincinnati...Started club's final home game on 9/28 vs. Los Angeles and won an 11-1 decision; lost shutout in the 9th inningand was removed with one out remaining in the game...Suffered loss in last start on 10/3 at Cincinnati (5.0ip/5er)...The Pirates went 11-21 in his 32starts...Went 12-for-60 (.200) at the plate with two doubles and five RBI...Tied for fifth among N.L. pitchers with 12 hits (Arizona's Dan Haren led thecircuit with 18)...Also tied for fourth among National League batters with 14 sacrifice bunts. Shared team lead in starts and ranked second behind Paul Maholm (206.1) in innings pitched...Tied for fourth in National League in losses and ranked second in hits allowed behind Colorado's Aaron Cook (236)...Also ranked fourth in N.L. in runs allowed...Posted a 2.89 ERA (18.2ip/6er) in his first three starts, but receivedno-decisions in each outing..Suffered first loss in fourth start on 4/20 at Chicago (NL)after being charged with five runs in 4.0ip of a 13-6 setback...Lost again in his nextouting on 4/25 vs. Philadelphia (6.0ip/6er)...Scattered two runs in 7.0 innings, butreceived a no-decision in Pittsburgh's 3-2, last at bat loss on 5/1 at Washington...Pickedup first victory after beating San Francisco's Jonathan Sanchez at PNC Park on 5/6 -his first win since 6/12/07...Tossed 6.0 scoreless innings of a combined 5-0 shutoutvs. Atlanta in game one of a doubleheader on 5/12 and won second straight start...Lostback-to-back starts on 5/23 and 5/30 before winning two in a row on 6/4 and6/9...Pitched 7.0 scoreless innings, but received a no-decision in Pittsburgh's 1-0, 12-inning victory vs. Toronto on 6/20...Suffered loss to New York (AL) on 6/25 (5.0ip/4r/3er)...Posted a 3.13 ERA in June, lowering seasonERA from 4.41 on 5/30 to 3.99...Pitched season-low 2.1 innings and gave up six runs (five earned) in a no-decision at Milwaukee on7/6...Retired first 10 batters he faced, but ended up losing an 11-3 decision in first start after the All-Star break on 7/20 at Colorado(5.0ip/9er)...Gave up two runs in 7.0ip, but lost his sixth straight decision on 8/5 at Arizona...Pitched 8.0 innings and gave up justtwo runs, but lost a 2-0 decision vs. Chicago (NL) on 8/27...Lost nine straight decisions from 6/25 thru 8/27, the longest losing streakby a Pittsburgh pitcher since Jose DeLeon lost 11 in a row in 1985...Tossed a six-hit shutout (second career) on 9/5 at San Francisco,snapping his nine-game losing streak and winning his first road game since 5/27/07 at Cincinnati (had lost seven straight roaddecisions)...Gave up six runs (two earned) in 4.2ip and lost a 6-0 decision to Roy Oswalt at Houston on 9/11...Scattered 11 hits whileallowing five runs in a no-decision on 9/17 vs. Los Angeles; left game with a 7-4 lead...Gave up one run in last start (7.0ip), but didnot receive a decision in 5-1 Bucco loss in 10 innings at Milwaukee on 9/25...Posted a 2.67 ERA (33.2ip/10er) in last five starts...Ledpitching staff with four caught stealings...The Pirates posted a 12-19 record in his 31 starts...Went 9-for-57 (.158) at the plate with anRBI and six sacrifice bunts...Tallied lone RBI on 8/22 at Milwaukee...Struck out as a pinch hitter on 4/7 vs. Chicago (NL). Was Pittsburgh's Opening Day starter; gave up two runs in 7.0 innings but received a no-decision inPittsburgh's 4-2, 10-inning win at Houston...Picked up first victory in second start while snapping a personal 10-game road losingstreak on 4/8 at Cincinnati (also struck out a season-high five batters)...Did not record a strikeout in three of his first four starts....Had shortest outing on 4/13 vs. San Francisco after allowing seven runs in 2.0 innings of work while suffering first loss...Lost fivestraight decisions from 4/13 thru 5/22...Was in line for the win after holding Houston to one run in 7.0 innings, but received a nodecisionin Pittsburgh's 4-3, 16-inning win at PNC Park on 4/25...Struck out in pinch hitting appearance in Pittsburgh's 4-3, 15-inningwin at Chicago (NL) on 5/8...Tossed 7.0 innings and allowed two runs on 5/16 vs. Florida, but received a no-decision; the bullpenallowed two runs in the 8th inning...Had a pair of hits in his 5/22 start at St. Louis...Snappd his career-high five-game losing streakwith 14-10 win at Cincinnati on 5/27...Scattered two runs over 6.0 innings while winning final game on 6/12 at PNC Park; a 7-5decision over Texas' Kevin Millwood...Was in line for victory (5.1ip/1r) on 6/22 at Angel Stadium, but came away with a no-decisionin Pittsburgh's 5-4, 11-inning loss...Was placed on 15-day disabled list on 7/1 (retro to 6/29) with left elbow tendinitis...Was diagnosedwith irritation of ulnar collateral ligament on 7/2 (second opinion by Dr. James Andrews in Pensacola, FL, on 7/6 confirmedPirates diagnosis)...Did not throw a baseball until playing catch on flat ground at Pirate City on 7/23...Was transferred to 60-dayD.L. on 8/14...Threw 43 pitches in first rehab start with GCL Pirates on 8/22 (2.2ip/2h/0r/2bb/1so)...Threw 40 pitches in secondrehab start with GCL Pirates on 8/21 (4.0ip/1er)...Returned to Pittsburgh to throw a bullpen session with pitching coach Jim Colbornon 8/29...Suffered loss while making rehab start with Triple-A Indianapolis on 9/1...Made fourth and final rehab start with StateCollege in the New York-Penn League on 9/6...Was recalled from rehab assignment and reinstated from D.L. on 9/11...Made firstprofessional relief appearance on 9/15 at Houston (3.0ip/1er)...Went 0-1 with a 4.09 ERA (11.0ip/5er) in final two starts; losing a9-5 decision at Chicago (NL) on 9/22 (4.0ip/5r/4er) and tying a season high with 7.0 innings pitched (1r) in a no-decision vs. St.Louis on 9/28...Went 8-for-32 (.250) with three RBI at the plate, hitting safely in three of his last four starts. Spent first full season in the majors with Pittsburgh...Led staff in starts and innings pitched...His 215.1ip were the most by a Pittsburgh pitcher since Kris Benson tossed 217.2 innings in 2000 and the most by a Bucco lefty since Zane Smith logged 228.0 innings in 1991...Pitched at least 6.0 innings in 26 of his 34 starts, including each of his last 12...Recorded club's only two complete games (5/2 at Chicago and 8/11 vs. St. Louis)...Had 14 of his 34 starts decided by one run...Went 9-4 in 17 starts at home and 1-11 in 17 starts on the road...Lost each of his last 10 decisions on the road after winning in Chicago on 5/2. ...Posted a 5.17 ERA before the All-Star break and a 3.65 ERA after the break...Allowed the most hits in the league and tied for third in losses...Allowed two runs (one earned) in 6.0ip but received a no-decision in first start; a 3-2 Bucco loss on 4/5 at Milwaukee. ...Started the Home Opener vs. Los Angeles on 4/10 and suffered 8-3 loss (5.0ip/7er)...Tossed 6.0 scoreless innings before allowing one run in the 7th inning while winning for the first time on 4/15 vs. Chicago...Scattered five hits while tossing first career complete game and shutout in Pittsburgh's 8-0 win at Chicago on 5/2...Lost four consecutive starts following complete game from 5/7-24 (25.0ip/16er - 5.76 ERA)...Walked career-high six batters in 4-1 loss at Cleveland on 5/19...Won three straight decisions from 5/29 to 6/14...Went six straight starts without allowing a home run (32.0ip) from 6/14 thru 7/9...Surrendered career-high eight runs (six earned) in 12-8 loss at Milwaukee on 7/24...Pitched 6.1 scoreless frames vs. San Francisco on 7/30, but received a no-decision in 2-1 Bucco victory in 10 innings...Tossed second complete game while beating St. Louis 7-1 at PNC Park on 8/11...Lost three straight decisions from 8/21 to 9/1...Won back-to-back starts on 9/11 vs. Milwaukee (8.0ip/2er) and 9/17 vs. New York (8.0ip/0r)...Suffered losses in his last two starts as the club scored a total of two runs with him on the mound...Posted a 2.30 ERA (43.0ip/11er) in his last six starts, the sixth-best ERA in the National League during the final month...Went 13-for-68 (.191) at the plate with three doubles, seven RBI and nine sacrifice bunts...Had four-game hitting streak from 5/29 thru 6/14 and hit safely in six of his eight starts from 5/29 thru 7/4...Went 2-for-3 with career-high three RBI on 6/14 vs. St. Louis...Also had two-hit game on 8/5 at Chicago. Began season with Indianapolis (AAA)...Was club's Opening Day starter and won debut (5.0ip/6h/3r/3er/0bb/4so) vs. Pawtucket in matchup against the rehabbing Curt Schilling...Suffered first loss despite allowing two runs over 6.2 innings of work on 4/12 vs. Ottawa...Won four straight starts from 4/17 thru 5/3...Tossed 6.2 innings of shutout ball and whiffed season-high 11 batters while picking up fourth straight win on 5/3 at Toledo...Went 4-2 with a 2.23 ERA (40.1ip/10er) in six starts during the month of May and was named Topps' International League Player-of-the-Month...Pitched 7.0-inning complete game in first game of a doubleheader at Rochester on 6/14...Received only no-decision with Indianapolis on 6/20 vs. Rochester (8.1ip/3r)...Went 4-0 with a 2.65 ERA in five starts during the month of June and won seven of his last eight Triple-A decisions...Pitched at least 6.0 innings and was charged with three earned runs or less in each of his final nine starts with Indianapolis...Was charged with three earned runs or less in 14 of his 16 Triple-A starts overall...Had contract purchased by Pittsburgh on 7/1...Was selected to International League mid-season All-Star team and was scheduled to participate in the MLB Futures Game in Detroit on 7/10, but missed both due to his call-up to the big leagues...Made major league debut on 7/2 at Milwaukee and received a no-decision in Pittsburgh's 5-3 loss (7.0ip/5h/3r/3er/1bb/9so) - his nine strikeouts were the most by a Pirates pitcher in his major league debut since Tim Wakefield had 10 on 7/31/92 vs. St. Louis...Tossed 7.0 innings of shutout ball and picked up first big-league win in a 2-1 decision over Philadelphia's Brett Myers on 7/7...Pitched 8.0 innings of a combined 3-0 shutout (6h/2bb/4so) while defeating Chicago's Greg Maddux on 7/16 at Wrigley Field...Also collected first career RBI with a sacrifice fly in his start on 7/16...Produced 22.0 inning scoreless streak from 7/2-21; the longest such streak by an N.L. rookie since Houston's Roy Oswalt in 2001 (24.0ip)...Allowed one unearned run while improving record to 3-0 on 7/21 vs. Colorado...Worked 2.0 scoreless frames, but did not return following a 42-minute rain delay at Florida on 7/27...Ended the month of July with a 0.87 ERA (31.0ip/3er), the best mark among all starting pitchers in the major leagues...Was honored as the National League Rookie-of-the-Month for July...Became the first Pirates pitcher to win his first four decisions, all as a starter, since Jim Nelson also did so in 1980 after winning a 4-1 decision (8.1ip/7h/1r) against Atlanta's Tim Hudson at Turner Field on 8/1...Allowed one run in the 5th inning of his 8/1 outing and snapped streak of 30.0 consecutive innings without allowing an earned run...Had an ERA of 0.92 after his first six starts to become one of only four pitchers during the "live ball era" to record an ERA below 1.00 after their first six starts - Los Angeles' Fernando Valenzuela (0.33 ERA in 1981), Boston's Boo Ferriss (0.50 ERA in 1945) and Montreal's Steve Rogers (0.88 ERA in 1973) were the others...Became second Pittsburgh rookie starter to win his first five decisions (also Whitey Glazner in 1921) after beating Los Angeles' Odalis Perez on 8/6 at PNC Park...Gave up eight hits and four runs while pitching just 4.0 innings in a no-decision at Houston on 8/12...Tossed 7.0 scoreless frames and allowed just two hits in 5-0 win at New York (NL) on 8/18...Also snapped an 0-for-19 start to his career as a batter; picking up his first major league hit off Juan Padilla on 8/18...Left his start on 8/23 vs. St. Louis after 2.0 innings due to a sprained left ankle; suffered while retreating to second base on a line drive to shortstop...Was placed on 15-day disabled list on 8/27 (retro to 8/24)...Went 3-0 with a 2.83 ERA in five August starts and was named the National League Rookie-of-the-Month for the second consecutive month...Was reinstated from D.L. on 9/16 and suffered first loss that night vs. Cincinnati (game one); pitched just 4.0 innings and allowed one run in 9/16 contest, but threw 74 pitches before being taken out...Allowed just two runs, but lost second straight start on 9/22 vs. Houston...Surrendered just one earned run over 8.0 innings while beating Greg Maddux for a second time on 9/27 at Chicago...Also had first career two-hit game in the 9/27 contest...Was victorious in final start on 10/2 vs. Milwaukee (7.0ip/1r)...Went 20-5 with a 2.43 ERA in 30 combined starts between Triple-A and the majors...Led all National League rookies in ERA and tied for third in wins. ...The Pirates went 9-5 in his 14 starts...Went 4-for-28 (.143) with an RBI as a batter with Pittsburgh...Was named Most Valuable Pitcher of the International League and was selected to league's post-season All-Star team...Was also named to Topps' Triple-A All-Star Team following the season...Finished fifth in the BBWAA voting for N.L. Rookie-of-the-Year. Led all of minor league baseball with a 1.46 ERA (148.1ip/24er)...Went 15-6 in 26 combined starts between Lynchburg (A) and Altoona (AA)...His 15 wins tied for third-most among all minor league hurlers (Toronto's Gustavo Chacin paced the minors with 17 victories)...Took home Pittsburgh's Minor League Pitcher-of-the-Year honors and earned Carolina League Pitcher-of-the-Year honors...Began season with Lynchburg...Did not allow more than two earned runs in any of his 17 starts with the Hillcats, including one earned run or less in 14 outings...Gave up a total of seven earned runs in his five losses with Lynchburg, while receiving just four runs of support during those games...Whiffed seven or more batters eight times with the Hillcats, including nine batters on three occasions (4/23 vs. Salem, 4/29 @Kinston and 6/26 vs. Myrtle Beach)...Held Carolina League batters to a .207 average and lefties to a .186 batting average...Went 3-0 with a 0.00 ERA in three straight starts from 4/23 thru 5/4 (struck out 25 batters in 19.1 innings during the stretch)...Struck out the side in his only inning of work in Carolina-California League All-Star Game on 6/28 @San Bernardino, CA...Surrendered a total of four earned runs during a three-game losing streak from 6/26 thru 7/7...Tossed complete game and struck out nine, but suffered a loss on 6/26 vs. Myrtle Beach...Was leading the Carolina League in wins (10), ERA (1.39) and strikeouts (106) at the time of his promotion to Altoona on 7/16...Tossed 6.0 scoreless frames and won his Double-A debut on 7/17 vs. Reading...Did not allow an earned run over 6.0 innings, but took the loss in Altoona's 4-0 setback @New Hampshire on 8/11...Yielded first home run since 5/9 and allowed three earned runs in a game for first time while receiving a no-decision on 8/16 @Harrisburg...Won final three Double-A starts...Surrendered one unearned run in 6.0 innings of work and earned the win in Altoona's 14-2 win over Erie in Game One of the Eastern League Divisional playoffs on 9/9...Received a no-decision in Game One of the Eastern League Championship Series vs. New Hampshire on 9/14 (6.0ip/10h/3r/3er/0bb/7so)...Limited opponents to a .214 average and five home runs between Lynchburg and Altoona...Was tabbed by Baseball America as the sixth-best prospect in the Eastern League following the season and the best pitching prospect (fourth-best prospect overall) in the Carolina League...Was also recognized by the publication as having the best breaking pitch in the league. Spent entire season with Hickory (A)...Was named to the South Atlantic League mid-season All-Star team...Began season with a 3-0 record and a 1.38 ERA (39.0ip/6er) in his first seven starts - also held opponents to a .185 batting average against in that time...Tossed 7.0 inning one-hit complete game on 6/12 @Rome (game one)...Held opponents scoreless for 13 consecutive frames on two occasions...Went 1-2 with a 2.17 ERA (29.0ip/7er) in his final five starts...Tied for seventh among Pittsburgh farmhands in ERA, tied for third in starts, tied for eighth in innings pitched and tied for sixth in strikeouts. Made professional debut with Bradenton (Rookie)...Led all Gulf Coast League pitchers in wins, tied for second in shutouts, was fifth in ERA, third in batting average against among starters (.185), tied for fourth in games started and finished third in runners per 9.0 innings pitched among starters (9.00)...Tossed a two-hitter against the GCL Orioles on 7/23...Won first eight professional games before losing to the GCL Reds on 8/22. 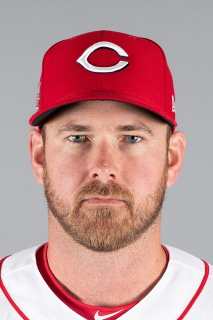 February 11, 2019 Cincinnati Reds signed free agent LHP Zach Duke. October 29, 2018 LHP Zach Duke elected free agency. July 31, 2018 Seattle Mariners activated LHP Zach Duke. July 30, 2018 Minnesota Twins traded LHP Zach Duke and cash to Seattle Mariners for RHP Chase De Jong and 1B Ryan Costello. December 26, 2017 Minnesota Twins signed free agent LHP Zach Duke. November 2, 2017 LHP Zach Duke elected free agency. July 21, 2017 St. Louis Cardinals activated LHP Zach Duke from the 60-day disabled list. July 7, 2017 St. Louis Cardinals sent LHP Zach Duke on a rehab assignment to Memphis Redbirds. July 4, 2017 St. Louis Cardinals sent LHP Zach Duke on a rehab assignment to Palm Beach Cardinals. June 30, 2017 St. Louis Cardinals sent LHP Zach Duke on a rehab assignment to GCL Cardinals. March 29, 2017 St. Louis Cardinals placed LHP Zach Duke on the 60-day disabled list. Left elbow injury. August 2, 2016 St. Louis Cardinals activated LHP Zach Duke. July 31, 2016 Chicago White Sox traded LHP Zach Duke to St. Louis Cardinals for CF Charlie Tilson. November 18, 2014 Chicago White Sox signed free agent LHP Zach Duke. October 30, 2014 LHP Zach Duke elected free agency. March 28, 2014 Milwaukee Brewers selected the contract of LHP Zach Duke from Nashville Sounds. January 15, 2014 Milwaukee Brewers signed free agent LHP Zach Duke to a minor league contract and invited him to spring training. January 15, 2014 LHP Zach Duke assigned to Nashville Sounds. August 30, 2013 Cincinnati Reds selected the contract of LHP Zach Duke from Louisville Bats. August 13, 2013 Zach Duke assigned to Louisville Bats. August 12, 2013 Cincinnati Reds signed free agent LHP Zach Duke to a minor league contract. August 2, 2013 LHP Zach Duke elected free agency. June 13, 2013 Cincinnati Reds signed free agent LHP Zach Duke to a minor league contract. June 13, 2013 LHP Zach Duke assigned to Louisville Bats. June 10, 2013 Washington Nationals released LHP Zach Duke. June 4, 2013 Washington Nationals designated LHP Zach Duke for assignment. December 6, 2012 Washington Nationals signed free agent LHP Zach Duke. November 3, 2012 LHP Zach Duke elected free agency. October 15, 2012 Washington Nationals activated LHP Zach Duke. September 3, 2012 Washington Nationals selected the contract of LHP Zach Duke from Syracuse Chiefs. April 4, 2012 Zach Duke assigned to Syracuse Chiefs. March 29, 2012 Washington Nationals signed free agent LHP Zach Duke to a minor league contract. March 27, 2012 Houston Astros released LHP Zach Duke. January 27, 2012 Houston Astros signed free agent LHP Zach Duke to a minor league contract and invited him to spring training. October 31, 2011 LHP Zach Duke elected free agency. October 10, 2011 Arizona Diamondbacks activated LHP Zach Duke. October 1, 2011 Arizona Diamondbacks reassigned LHP Zach Duke to the minor leagues. May 28, 2011 Arizona Diamondbacks activated LHP Zach Duke from the 15-day disabled list. May 23, 2011 sent LHP Zach Duke on a rehab assignment to Reno Aces. May 18, 2011 sent LHP Zach Duke on a rehab assignment to Visalia Rawhide. March 30, 2011 Arizona Diamondbacks placed LHP Zach Duke on the 15-day disabled list retroactive to March 22, 2011. Broken left hand. November 24, 2010 Pittsburgh Pirates traded LHP Zach Duke to Arizona Diamondbacks. November 19, 2010 Pittsburgh Pirates designated Zach Duke for assignment. July 12, 2010 Pittsburgh Pirates activated LHP Zach Duke from the 15-day disabled list. July 5, 2010 sent LHP Zach Duke on a rehab assignment to Altoona Curve. June 23, 2010 Pittsburgh Pirates placed LHP Zach Duke on the 15-day disabled list retroactive to June 17, 2010. Sore left elbow.